Trekking to the dramatic heights of the Andes to visit Peru’s Citadel of Machu Picchu has become a deservedly popular adventure. 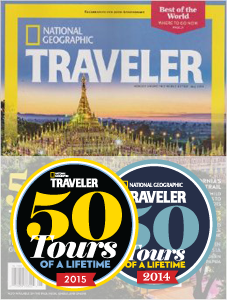 Travelers the world over convene in Cusco, the typical base of trekking operators, in search of natural beauty, iconic archaeological ruins and a deep intercultural experience. At the same time, many aren’t aware that the options for getting to Machu Picchu don’t end with the classic Inca Trail or rail lines. 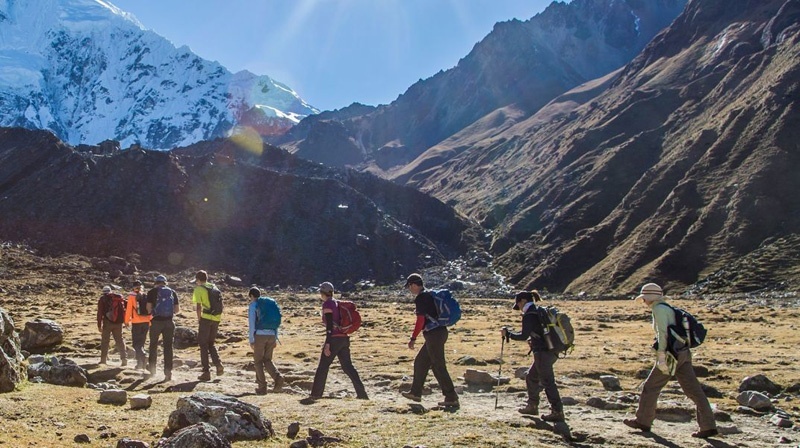 Other trails exist that offer a variety of lengths and accommodations, with one that uniquely blends a more in-depth trekking experience with comfortable, top-rate lodging: the Salkantay Trail. The general consensus among archaeologists is that Machu Picchu’s construction traces back to the Incan emperor Pachacuti, and took place between 1438 - 1472. The more commonly used and better-known journey to Machu Picchu is the well-traveled Inca Trail, featuring a relatively direct route of 24-26 miles and some great scenery and a community feel; many groups will be sharing this track with you. Lodging is typically in tents, and cooking and amenities are typical of a well-established trekking scene. Being in decent shape and having some outdoor experience is a good thing to help you keep pace with the group. Along the Salkatnay Trail, a different and distinctive experience can be yours! Departing from the Cusco area’s Challacancha village, this trail of 55 miles takes you over high mountain passes from lodge to lodge over the course of seven days. You will have gourmet meals and fine wines at your dinner table, and be attended to by staff dedicated to creating an outstanding atmosphere for your once-in-a-lifetime trek. Between constant jaw-dropping vistas of some of the tallest Peruvian Andes peaks and rushing rivers below, visits to isolated, traditional villages with enduring Quechua culture, and a historic trail traversing 15 different ecosystems, the Salkantay Trail offers a very different journey than the other routes to Machu Picchu. The landscapes, flora, fauna and culture you will encounter will provide a taste of the Peruvian highlands at their most authentic best. Some noteworthy features of Salkantay Trail tours are both the challenges, as well as the meaningful moments. Keep in mind that you will be at a much higher elevation for an extended period of time, sleeping above 12,000 feet and crossing passes that exceed 15,000 feet. Time and planning are invested in getting the group acclimatized, yet it is important for you to have trained as much as possible before this trek to meet its physical demands. Partaking in ceremony acknowledging the Andean feminine “earth goddess” deity of Pachamama with your fellow trekkers on the shore of Lake Humantay during your day hike can be a meaningful and perspective-broadening opportunity. Your days on the trail are finally paid off with the culmination of your journey at the Machu Picchu Citadel. The in-person experience you’ve always dreamed of, and memories to share with friends and family, will unfold on the on the saddle between the mountain peaks of Machu Picchu and Huayna Picchu, where the city of Machu Picchu sits. The setting that draws adventurers from around the world will have come together into an unforgettable several hours’ visit for you and your group before you return to Cusco by train for your departure. The Salkatnay Trail offers a unique means of reaching Machu Picchu, and we are proud to offer it as part of our portfolio of Peru tours. If you’re in search of a distinguished path to this most recognized destination of Incan cultural heritage, look no further: get in touch with us to start planning your adventure!